Why is it crucial to use hypnotherapy to heal shadow defenses? 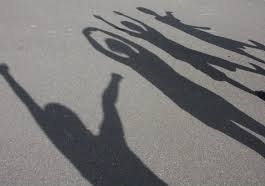 Shadow parts of ourselves live in the recesses of our subconscious mind. They are the blind spots that we may catch a glimpse of, and then they disappear in an instant. They return with a vengeance to create behavior that embarrasses us, creates conflict with others, and prevents us from making the healthy choices in life that we say we want. In fact our hidden shadow parts may actually cause PTSD to our children and family members. What are some of the common and hidden defenses that our young child parts used to stay safe (and that we are still using today)? For certain, staying safe is the hidden agenda of all these infantile parts of ourselves. If as a child we were physically or emotionally abandoned, our shadow child will do anything to avoid abandonment. She will sell her soul for love, acceptance or recognition.